There is one thing that all major parties are, and have always been, in unanimous agreement on. Fixing the never-ending housing crisis. The benefits would cascade into other big vote winners. Take these three. Sensible house prices leave more money in everyone's pockets to boost the rest of the economy. Being low paid will hurt less. And a major house building programme away from London and the south east would underpin a big-picture coordinated regeneration of the regions. So why hasn't the problem been swept away to the deafening cheers and applause of all sides of the house? Because of the political and "economic" reasons for never doing so. Let's walk this one through. Why are those rents and house prices so high? This is being fixed, right? Wrong! Of all the problems we face, surely this is the one that will be fixed first and fastest. Why? Because the TV news is full of politicians promising to solve the housing crisis with the same solution: build more homes. Politicians, of every party, in every election, with no exceptions. So, that’s a good start. After all, the UK has some of the highest rents and house prices in the world. The average renter in England is spending 43% of their household income on rent. Most economists will tell you that a maximum of a third of income, a much lower figure, is what is reasonable. As for buying a house, latest figures show the average household today takes 24 years to save for a deposit to buy a house. Back in the 1990s it was only 3 years. We shouldn’t even be calling it a “housing crisis”, because the word “crisis” gives the impression that this is an unexpected and temporary problem. It’s the wrong word to use. It’s clear this has been going on for decades. Yet despite all the promises to fix it, the problem just isn’t going away. Why are high house prices and rents a problem? If a problem doesn’t go away, you can be pretty sure that someone doesn’t think it’s a problem at all! It’s a well known joke among the property-owning classes that most dinner parties end up with everyone discussing their property prices. Correction: their rising property prices. And these aren’t super-rich property moghuls. These are mostly ordinary folk. In the UK around two-thirds of us are home owners. Most will be over 40, who bought when properties were more affordable. Some will have got financial help from well-off parents. Either way, it means they’ll have got on the property ladder without needing binoculars to see the bottom rung, and a rope and grappling hook to get on it [cartoon?]. Then there are the millions of landlords. Obviously, they like rents that comfortably cover the loan (mortgage) used to buy the property in the first place. The rents keep rising, but the cost of that loan doesn’t. So it’s a no-brainer to them. That makes a lot of people who, when they vote, vote for parties that mouth off about fixing the problem but can be relied upon never to do so. 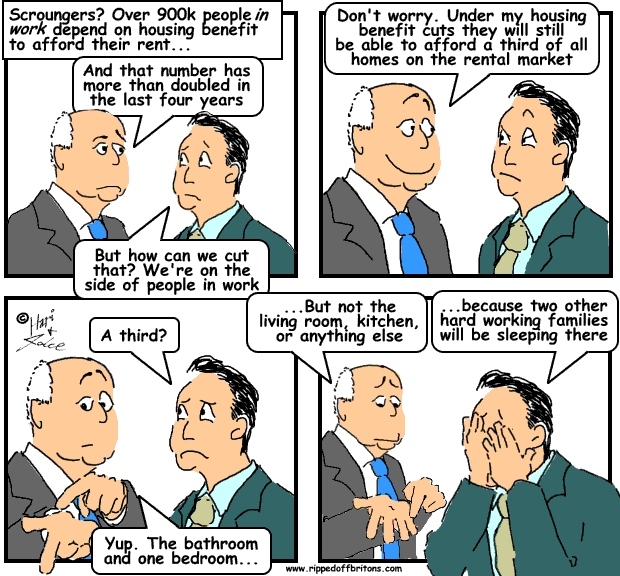 And let’s not forget that almost a third of MPs are landlords, letting out houses or flats. But it is an awful state of affairs for tenants and people trying to buy. And there are a lot of them too. So it’s tenants versus house owners and landlords. What can break this deadlock? How about a closer look at how it’s a huge problem for the economy as a whole. Oh, and simple fairness. Money should be spent on things that “add value.” In other words, the customer is getting something new, something more, or fixing something broken. If you spend more on furniture, you get more or better furniture. But rapidly rising rents and house prices are delivering the same old houses. That’s just bad economics. An efficient economy rewards effort and risk. But landlords and house-owners are making money with little effort or risk. Very inefficient, as well as unfair! And this all causes deeper problems for the UK economy, to do with spending and saving. Every nation needs its citizens to both spend (to live today) and save (to spend in old age). The spending keeps the economy ticking today. The savings don’t just sit there, but get invested in infrastructure and innovation for the future. Both are essential. Get the balance wrong, and one or other takes a dive and we’re all in deep trouble. Normally, younger people spend much more than they save. Older people, earning more, do most of the saving. That’s normally. But rising house prices have got older people into a bad habit. Why save for your old age when you can, when the time comes, sell your over-priced house? It’s one reason why since the early 1990s Brits have steadily been saving less. In effect, this generation of home owners are getting the young to do their saving for them, by getting them to save up to buy their overpriced house some time in the future. Which means the next generation are forced to pull the same trick on those following behind them. And on and on. So here’s a warning to young people: when your indulgent parent tells you “Darling, my money is your money,” they’re not kidding. So that’s the nation’s savings screwed up. What about spending? Money spent on over-priced rents and houses is money not spent on the high street. So it’s bad for business and job creation. Yes, landlords spend too. But 60% of all properties in the private rented sector are owned by landlords that rent out more than one property. Half of them, around 30%, are owned by landlords that own 10 or more dwellings. This changes the pattern of the nation’s spending – how much, and crucially on which high street - when all those tenants cut their spending to hand over higher and higher rents to their landlord. Three tenants need three haircuts. One landlord just needs the one. And what if he’s bald?! We shouldn’t joke, or some housing minister will promise subsidised hair transplants to bald landlords, in another pathetic attempt to put another sticking plaster on the disastrous side-effects of the housing crisis. Yes, landlords will spend their profits on other things too, but not on your high street. Yes, older home owners will ultimately sell up and spend some of it. But the same applies. 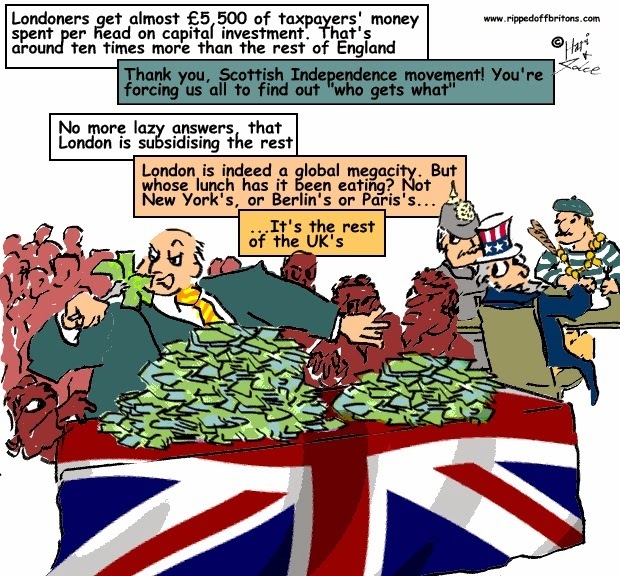 The tenant’s pound – which should have been spent on their high street – goes to the landlord. 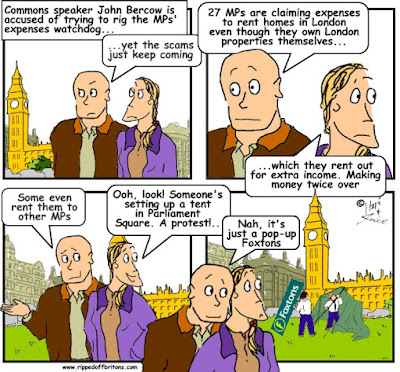 The landlord spends some of it – on his or her high street, wherever that is! – and likely uses the rest to bid on another house, pushing property prices up further. In 2015 the housing minister said the government aimed to see one million new homes in England over this Parliament (2015-2020). That’s 200,000 a year. He was one of a long list of ministers over the decades who has made such promises. By November 2016 the (new) housing minister admitted the target would be missed. 200,000 a year? The last time England hit that figure was 1980. Since then it’s typically been 150,000 or below. But that 200,000 won’t be enough. The National Housing Federation (NHF) said even more - about 245,000 new homes - are needed each year in England to stabilise prices. Nothing near that number is being built. The NHF’s figures showed only 457,490 were built between 2011 and 2014. The NHF estimate 974,000 homes were needed during that period. So, at the current rate, we’re not even half way there. That failure guarantees continued crazy rent and house price inflation, with no end in sight. To make matters worse, London has got itself a reputation throughout the world for being a place where property prices only ever rise. So even rich overseas investors are buying properties, pushing prices up further. There are other problems. They make things worse, and need to be fixed. But they should not be allowed to take attention away from the big problem: not enough houses. One example is empty houses and empty rooms. In many cases, some of the richest landlords don’t even bother to rent out their properties, and leave them empty, so sure they are that their “investment” will make plenty from prices that keep on rising. 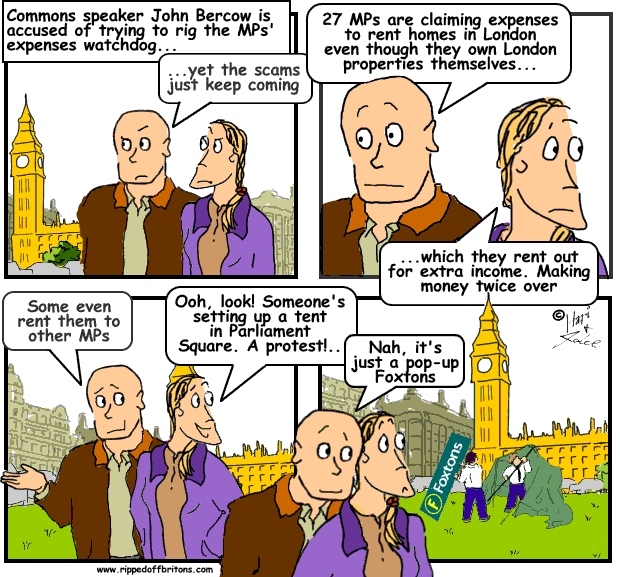 Angry politicians have upped the taxes on empty properties, and rightly so. But only around 200,000 properties across the whole of the England are ever empty for more than six months, so a tax on them is just another sticking plaster over a minor wound, while the major surgery needed is postponed again. Next. 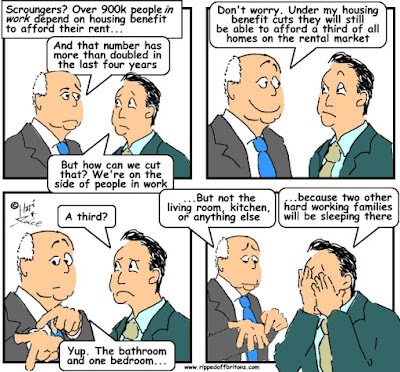 Seven in 10, or 16 million, households in England and Wales have at least one spare bedroom, with eight million homes having two or more. It’s partly down to older parents, whose kids have left, staying in their family houses rather than downsizing and putting the profit in a pension. That’s what happens when rapidly rising property prices are a better investment than a pension. It’s also partly down to people just wanting a spare room. Talking some of these people (by the way, there’s little talking involved. It’s either through a benefit cut threat or a tax break bribe) into swapping a large home for a smaller one, or renting out the spare room, will help but it’s not likely to significantly change the total number of homes available. People want houses where their jobs are. That means cities and towns. But building more homes often means building on “green belts”. These are, as the name suggests, fields, parks and forests that the locals already enjoy for recreation. The locals don’t want buildings there. Better to build on “brownfield” sites. This is land that has previously been used for industrial and commercial purposes and is now derelict. And doesn’t have people in wellies and flowers in their hair chained to the trees and shouting “go build your faceless grey concrete monstrosity someplace else”. But even here planning regulations slow the process down. And even when there is some land available somewhere in the cities and towns, it is never enough. What of the land that’s got the planning permission? The ‘big developers’ have ‘a stranglehold on supply’, said Sajid Javid, the Communities Secretary, and are ‘sitting on land banks’, while ‘delaying build-out’. Basically, big developers like a housing shortage, because they can sell their houses for more. Since 2008, the average time lag between a housing unit being granted permission and the home appearing on the market has risen from 21 to 32 months. They get away with it because there’s no real competition. The three biggest players build more than a quarter of all new homes. The top eight account for half. A House of Lords report said the industry “has all the characteristics ofan oligopoly”. But there are other reasons that have nothing to do with space or profiteering big developers, and everything to do with politics. Property owners don’t want their house prices to fall, which is what would happen if there were easily enough homes for everyone. Politicians fear property owners will not vote for them if they put an end to rapidly rising house prices. Remember, two in three households are property owners. Governments have become addicted to the mirage effect our dysfunctional housing market has on the nation’s balance sheet. They can sit back, do nothing, and pass rising house prices off as wealth-creation. Look at it this way. Let’s say house prices stabilised, and people therefore get to spend more and more on furniture. The total value of the nation’s furniture doesn’t get measured! And furniture falls to pieces after a good few years. But house prices get measured. Now, you’d think that cheaper homes, but hundreds of thousands more of them (that’s what’s stabilised the house prices), would result in the same total amount of national housing asset wealth. You’d be right. But the foolish status quo allows our cowardly governments to steer clear of fights with those existing property owning voters. But it’s plain stupid to forego real wealth creation (stable house prices yet many more houses, leaving households with more money to spend on other things) for fake wealth creation (same old houses, just more expensive). Stabilising house prices stops you using your house as your pension. You’d have to start using your pension as your pension! Now that’s crazy talk! Because it would need our pensions system to be fixed. Every decade has scandals over company pension pots disappearing, banks charging exorbitant fees for managing your pension, or governments changing the law so that your pension pays out less than what you expected. Hands up which government has seriously confronted the companies, banks and their own selves over our crummy pensions? None. 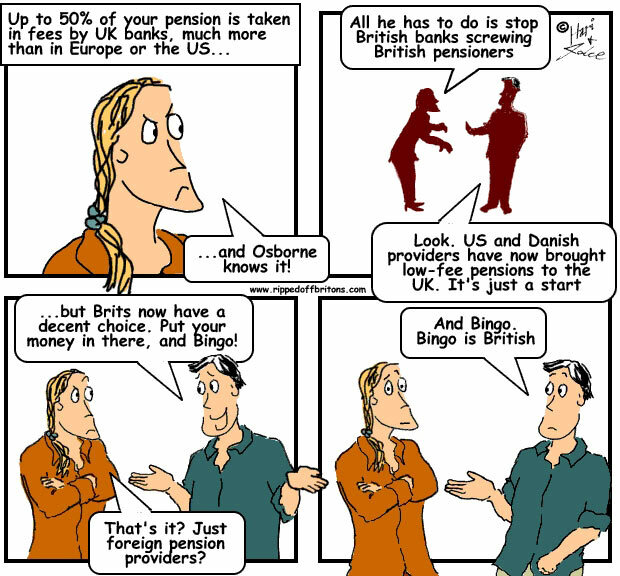 Our governments clearly have little faith in pensions, so no wonder ordinary people don’t either. So no wonder so many are relying on cashing in their houses, instead of having a decent pension. In the 1950s, 60s and 70s, we built new houses like crazy, averaging over 300,000 a year for twenty years. After that we built the bare minimum. So it’s divisive, corrupt, stupid, and cowardly. And unfair. It can’t be fair that young adults have to work so much harder than older generations to have the same housing. Prices in London and the south east are crazy. Why not live somewhere else, somewhere cheaper? You need to live near where your job is. There are always cheaper houses and rents somewhere, but not where jobs are being created. The midlands and the north are parts of the country that used to thrive – the engine room of the empire! But since the 1950s most job creation has happened overwhelmingly in London and the south east, whilst many big industries of the north (manufacturing, in particular) have shrunk. We should be less focused on building new homes in London, and invest and create jobs outside the south-east of England. For a start, the rest of the UK has the space for the new houses. The worst of the “green belt” problem goes away – the only good reason for not building a house. There are other massive benefits. High housing costs in London and the south east make all the other costs of doing business high. Not just business rents. Staff need higher pay to cover their own housing costs, and those rising wages make everything else – cups of coffee, doctors and nurses, transport, everything – more expensive. House building outside London is easier and cheaper than in London. Think of all the pipes and cables you need to lay, running to new utility plants. Then there are the new schools, hospitals, and other essential services. The bigger problem is the creation of the jobs. In Manchester, Liverpool, Leeds, Newcastle etc. We’d need to get public and private services and businesses to move to where they had no plans to go. And their staff. It can be done. Even that stick-in-the-mud the BBC relocated 1,800 jobs away from London to Salford, near Manchester, and backed the creation of MediaCityUK. Many BBC staff were dismayed. Some resigned rather than move. But by 2015 the BBC employed 2,500 there, with other media organisations employing thousands more. Creating jobs outside the south east would be a big vote winner. The rest of the UK would be delighted by any government that created jobs in their region, rather than in the usual place: London. All it needs is for the number of these voters to exceed the number who want property prices to keep rising. And a strong, visionary and eloquent national leader who can explain that the current system is unjust, punishes hard working people who have to rent and can’t get on the property ladder, prone to cartel behaviour by the builders, and fools the whole economy into creating fake wealth instead of the real thing. The collection of economic rent, in this case the socially-generated site values that are boosted by public infrastructure investments, would cancel speculation in sites to bring site values back to realistic levels and release banked sites to end the housing crisis ...as prescribed by Joseph Stiglitz, Sir James Mirrles and Adam Smith. I disagree strongly with this blog. How can anyone write about a 'housing crisis' without mentioning mass immigration? Almost 50% of the reason that we have this so called 'crisis' is because of immigration. Successive governments since the early 1980's have, either for cheap labour or because they were determined to change the make up of our society, allowed millions of people to settle here. The opening of the floodgates was never in any manifesto......that's what i call a REAL rip-off! And why should older people who have spent most of their lives working to pay off a mortgage and bringing up their kids, and who now have a spare bedroom, be told that they should leave the family home or share it with a stranger? Why shouldn't they have a spare bedroom for when their children or grandchildren visit? Why shouldn't they after years of working and child rearing have a hobbies room where they can enjoy doing something that brings them pleasure and relaxation? The idea that older people should spend their final years in a rabbit hutch or allow a stranger into the 'extra' bedroom is callous.